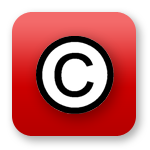 On October 13, 2010, a Korean high court affirmed a lower court ruling that a 53-seconds-long video clip posted on a blog, showing a 5-year-old humming along to a copyrighted song, constitutes a fair use, and ordered a copyright society to pay the poster damages for unjustly requesting a takedown under the Korean notice-and-takedown system. The judgment was not appealed by the copyright society and has now become final. A piece that I wrote for class will be featured in a local art journal, print and online. However, I must submit a final edit within a short deadline. I am nervous to include illustrative images supporting my analysis of a twentieth century artist in relation to the political climate of the time. I fear I don’t have enough time or resources to obtain permissions for all the images. Congratulations! And good news—you may have good reason to employ fair use, which means you wouldn’t have to ask permission. To help you with your fair use reasoning, look at the Code of Best Practices in the Visual Arts, to understand what other peers do in a similar situation. Your case sounds like situations in Principle One: Analytic Writing, so we encourage you to read this principle first. The College Art Association teamed up the CMSI to simply the approach to the principles found within the Code of Best Practices in Fair Use for the Visual Arts. Today we take a closer look at Principle Two: Teaching About Art. In an academic setting, teachers often use reproductions or copyrighted images to enhance the classroom experience. Though copyright exemptions exists for educational purposes, teachers still find themselves weary about the images they can include. Especially if they are working with technology that extends beyond the limits of the classroom.